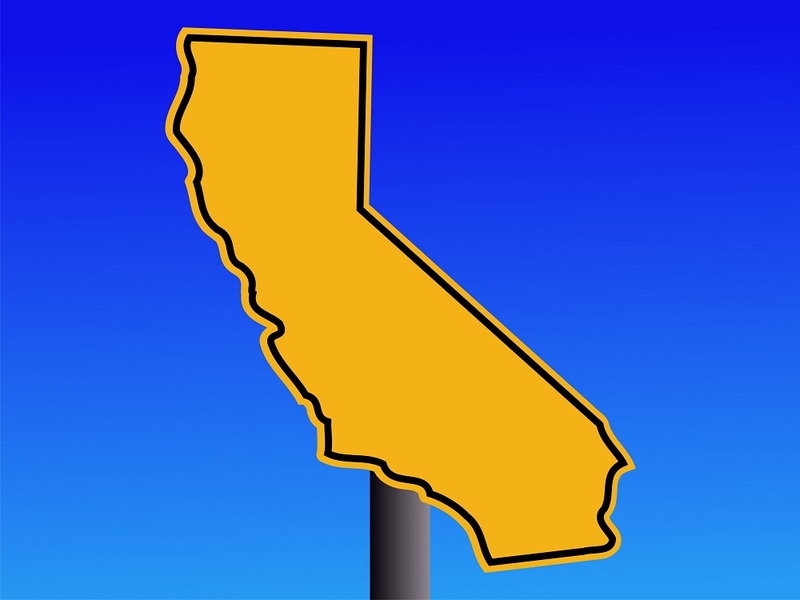 California may have the size and economy and independent spirit of a good-sized country. But California is not a nation. Which is precisely why it would be so self-destructive to seek to become one. Yes, it’s understandable why, with the election of an evil white supremacist swindler as president of the United States, the idea of California going off on its own suddenly has such great currency. The movement for an independent California has taken off on social media; its supporters are appearing on TV, putting up billboards, and planning a referendum. Our state’s elected leaders are speaking of how Trump’s victory makes them feel like strangers in their own country. And many Californians are rightfully renewing strong objections to how America’s outdated 18th century governing system, from the Electoral College to the U.S. Senate (with just two senators per state, no matter the size) works against California’s interests. Last week, I was constantly asked about the possibility of California’s independence while running a global forum on direct and participatory democracy. The conference was held, fortuitously, in Spanish Basque Country, whose people are experts in the difficulties of seeking independence, having sought their own nation within the Iberian Peninsula for centuries. So, after failing to joke away such inquiries, I answered California independence questions with my own query: Do you think we would be better off trying to go our own way? The responses—from political scientists around the world, and especially the Basques who hosted—were sobering. It’s impossible to know how any secession will turn out, and the process of winning independence is always costlier and harder than would-be secessionists think. Such efforts are bitter, divisive struggles even for a cohesive nation like the Basque Country, whose people have assiduously protected their distinctive language and culture. When I asked the president of the Basque Parliament, Bakartxo Tejeria, what distinguished Basque democratic culture, she mentioned three things: stubbornness, a very long collective memory, and a determination to never run from a fight. Such feistiness is inspiring, especially when experienced up close. But it is not very Californian. We are open-minded, not stubborn; we celebrate and seek out new incursions of language and culture and migrants, instead of defending against them. And Californians don’t just have short memories of our shared history; most of us never bothered to learn the history in the first place. And we largely see these aspects of our character not as failures, but as virtues. We are not a nation. To the contrary, we are best understood as one of the world’s leading un-nations. The word nation, after all, comes from Latin and from old English and French words for “birth” (naissance). But more than a quarter of Californians were born in some other country and millions entered the world in some other state. Nations are defined by common descent, history, language or culture, but Californians pride ourselves on our lack of shared history, which is what makes us so cool, so diverse, so darn good-looking. It is our inclusive un-nationhood, and not just our recent political preference for Democrats, that makes California the natural opposition to the prospect of a federal government peddling racist and xenophobic nationalism. Which is precisely why the idea of an independent California country—so long discussed and joked about—is now newly serious. And newly dangerous. For our un-nation to pursue its own nationalist project would be a capitulation to the forces of separatism. And it would be nothing less than a betrayal of ourselves, a suicide of the universalist California idea. To be blunt: Do we really want to answer Trumpian nationalism with our own? For our un-nation to pursue its own nationalist project would be a capitulation to the forces of separatism. And it would be nothing less than a betrayal of ourselves, a suicide of the universalist California idea. It also would be, as a practical matter, a very nasty business. The conflict could last decades, and the costs would be felt not just in politics but in treasure—and quite possibly blood. We’d have to battle Congress and other states to get their support if we wanted to leave peacefully, and we’d certainly have to take more than our share of America’s debts with us. And if things got so bad that we chose to leave without permission? Do you really think a country as armed and violent and war-prone as the United States would let its greatest province exit without a fight? In the Basque Country, scholars of nationalism from Asia to South America reminded me of what happened in other independence struggles: Koreans killing Koreans, Chinese killing Chinese, Irish killing Irish, and, less than two centuries ago, Americans killing Americans. Inevitably, the fighting would pit Californian against Californian. Many of us would not want to leave the U.S. And most of us identify more closely with our distinct regions than with the state as a whole, a tendency that could divide us. And don’t forget: While Hillary Clinton won California by 29 points and more than 3.5 million votes, one third of California voters cast ballots for Trump—representing an uncomfortably large Fifth Column with which to coexist. What sense would it make to take on an independence war of choice when we already face so many other consequential fights? Climate change threatens like the big waves that I watched crest and splash over the top of Basque sea walls. The whole world confronts regional wars and a migration crisis, and Western countries face a calamity of stagnant incomes and retreating democracies. Let’s also remember that, if we managed to leave, we’d win only the ice-cold comfort of trying to sleep every night next door to an unstable, nuclear-armed country bitter at our departure. Given the world and the America we now face, Californians shouldn’t waste another second contemplating independence or secession. We must instead focus on defending our nation and protecting its people, regardless of race, religion or legal status, against whatever horrors the haters in Washington D.C might send our way. But in doing so, we must be careful to avoid escalating the conflict. Ours will have to be a strategy right out of the Cold War. Contest every incursion of the Orange-Haired Empire, while carefully avoiding rhetoric or actions that lead to greater conflict or violence. Build our own alliances and collaborations with states and countries that share our values. We will have to be especially disciplined about impugning the motives of those who support the new American regime. Instead, we must relentlessly urge them to change their minds, and assure them that when they realize their mistake, we will welcome them like the sanctuary we’ve always been. We’ll have to challenge the nativists and racialists within our own borders with the same spirit. In other words, we have to stay strong—and stay chill. We’ll also have to work on improving the power of our own example—we’ll need to get better at governing, and more effective at meeting our state’s economic, educational, and environmental goals. We’ll need to give new meaning to the old adage: Living well is the best revenge. So, on this Thanksgiving weekend, let’s begin by avoiding rancor or worry at the family table. Instead let’s give thanks for the United States, and for the fact that we’re its biggest, most powerful state, with plenty of weight to throw against Washington. And let’s remind ourselves that America, for better and for worse, is California’s nation. Why would we ever surrender it? *Photo courtesy of Adobe Stock.